If you’re a pastor looking to make extra money, you’ve come to the right place! There are dozens of ways pastors can earn extra income, to help pay for education expenses (yours or your kids’), cover increasing clergy health care costs, save for something special, or supplement your income to make ends meet. Can a pastor earn extra money by doing things they already know and do in their regular pastoral ministry? In a way that adds value to their ministry and doesn’t detract from it? I believe the answer is absolutely yes! Whether you’re a pastor looking to start a new side hustle, or launch a full-fledged business, here are 10 ways you can earn extra income by doing things you’re probably already doing. If you’ve been a pastor for any length of time, you know that dying is, unfortunately, a big – and expensive – business. Here are some unique ways for pastors to earn extra income while serving families through funerals or memorial services. 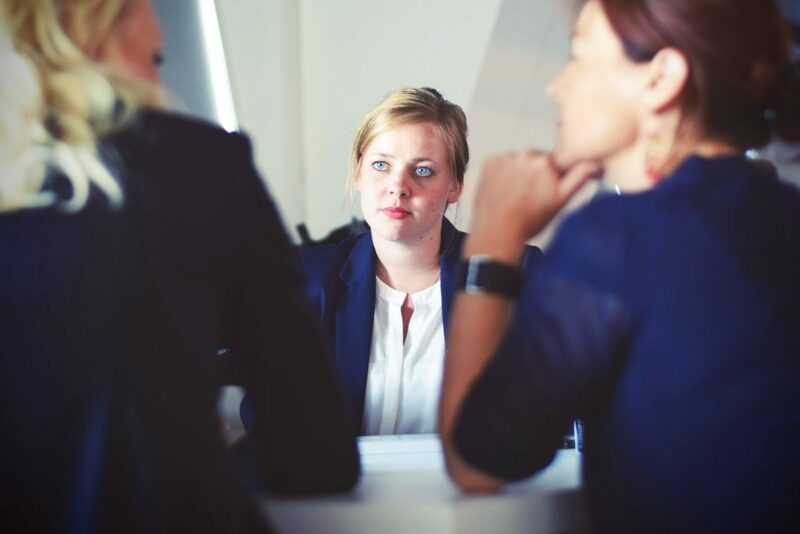 Funeral Officiating – Funeral parlors struggle at times to find pastors willing and able to officiate funeral services for people who don’t have a connection to a local church or pastor. If you enjoy caring for families in times like these, contact area funeral homes to offer your services for people who don’t have a church home. These are often great outreach opportunities, and ways to earn some good extra money. Funeral Planning – When a loved one dies, family members are often caught off-guard, can easily become overwhelmed by all the options, and often unaware of ways they could save money when it comes to funeral expenses. Consider offering funeral planning services to help people discover all the options when it comes to burial, cremation, holding a funeral or memorial service, etc. You could offer public workshops a few times a year, or meet with families one-on-one, charging for your services. ﻿Funeral Musician – If you are musically inclined – especially if you’re a worship pastor – you could earn extra money singing or playing music at funerals in your community. Funeral and memorial services happen mostly during the daytime hours, and it can sometimes be a challenge to find musicians who are available. You can make the happy couple’s “Big Day” a nice payday for you, through these money making opportunities. Premarital Counseling – Some pastors don’t feel very comfortable or competent in doing premarital counseling with couples. If you love doing it, why not create a couple of premarital counseling packages you can offer to the community. You could host an all-day or 4-week workshop format for several couples at once, do private counseling with couples, or a combination of the two. Extra bonus if you and your spouse host the premarital counseling together! Wedding Musician – If you are musically inclined, you can make extra money singing or playing at weddings. If you’re a songwriter, how about writing and performing customized wedding songs? As mentioned earlier, counseling is one of those things that some pastors love, while others don’t feel so confident – especially in doing it long-term. 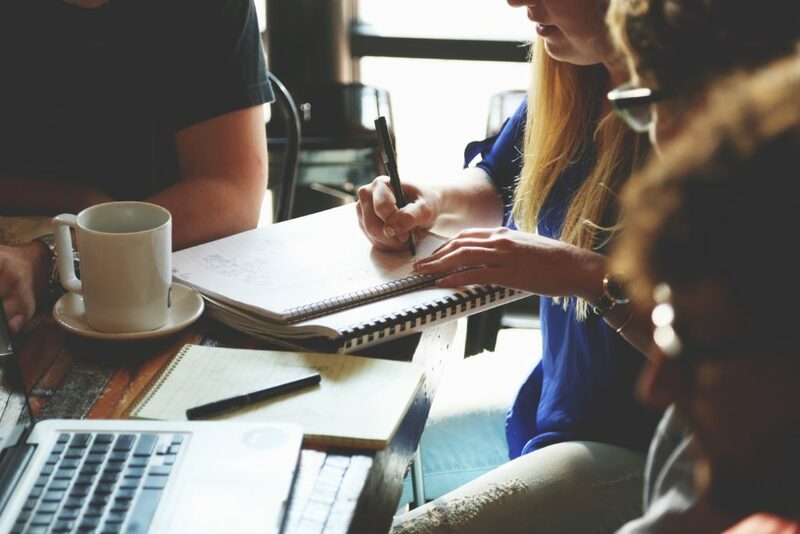 If you are skilled at helping others navigate tough life situations with biblical counseling, position yourself as a community counseling resource and take referrals from other churches and community organizations. Be aware that laws in your area may dictate that only licensed counselors may advertise “counseling” services. So, you may want to call what you do “biblical counseling” or “discipleship counseling” if you are not a licensed counselor. Also, I suggest that you clarify up-front with your church where the line is between counseling you do for free and counseling your charge for. Some pastors will do one or two sessions for free, as a gift from the church, before starting to charge for counseling outside of the church. Every day, we have opportunities as pastors to coach our staff, leaders, and volunteers to greater levels of faithfulness and effectiveness. The coaching skills we develop and use in the church can also be used to bless people – and earn extra money – outside the church. I’ve been blessed to have had a couple of executive coaches work with me over the years to help me grow in my personal life and professional leadership. Because of the results I’ve achieved through coaching I’ve received, coaching is one of my passion areas, and I love to share what I’ve learned with others to help them get unstuck and pursue their life’s biggest goals and dreams. If you are passionate about helping people develop spiritually and grow deeper in their relationship with God, consider becoming a spiritual director. Spiritual direction is about helping people develop their inner life and discern God’s voice in their lives. It’s about listening to and experiencing God the Father, Son, and Holy Spirit in deeper ways. Through asking the right questions, listening, and discerning. Late last year I began meeting with a spiritual director once a month. I didn’t fully know what to expect, but I can tell you the relationship has exceeded my expectations! The questions my director asks me always take me deeper in my understanding of who God is and who I am in him. If you love spiritual formation, you may be especially well-suited to be a spiritual director. But know that spiritual direction isn’t about identifying problems and providing solutions for problems. The goal is to help people go deeper with God, sit in the silence, listen to the invitations from the Holy Spirit and dwell on him…There’s a real skill to that. When I think of a chaplain, the first thing that comes to mind is someone serving as a military or hospital chaplain. Maybe that’s how you think too. Christian schools – leading chapel services, providing care to students and staff. Sports teams – leading chapel services and providing care to professional and semi-pro sports teams. 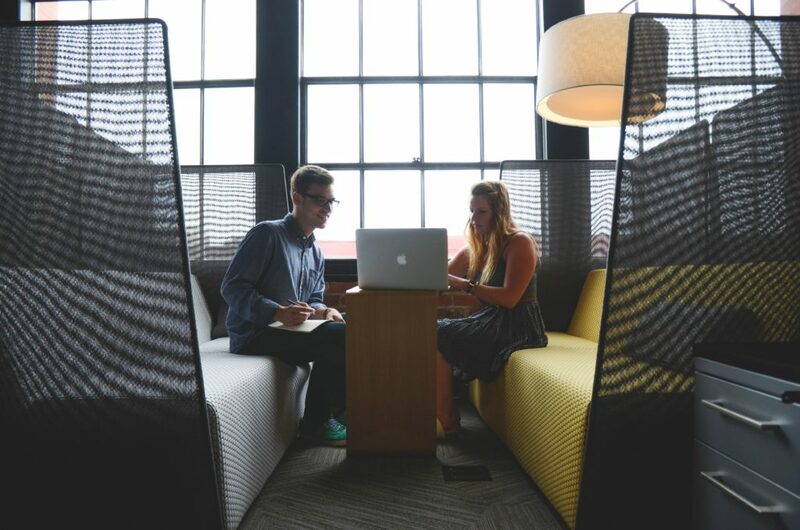 Corporations – Corporate chaplaincy has really grown in the last decade, helping employees navigate situations in their lives. Police/Fire Departments – Provide care to first responders on an ongoing basis and in times of crisis. Nursing homes – lead chapel services and provide care to residents, families, and staff. Community disasters – you could put together a program and plan to come alongside your community in times of tragedy, like a school shooting or similar situation. It’s no surprise to think that pastors, who get paid to preach, teach, and tell stories in church, could earn extra money through public speaking. You don’t have to be famous like Brenda Salter McNeil, John Maxwell, Beth Moore, Andy Stanley, or Steven Furtick to get invited to speak. But hey, if you are, and you’re reading this, please drop me a line and share some of your best tips with me. I’ll be sure to pass them along! What you DO need is a compelling message or story that impacts people’s lives. And I believe every pastor has a message or story like that, deep down inside them. You just may need help in getting that message out. Church Special Events – Speak at another church’s missions conference, evangelism training event, small group kick-off, leadership development event, etc. Bible & Missionary Conferences – There are dozens of Bible and Missionary conference grounds across the U.S. and Canada, and they all need speakers to deliver keynotes and workshops. This could be a fun way to get a free family vacation too. Summer Camps – Children’s and youth pastors in particular are in-demand to speak at summer camps, for just one week, or all season long. This could be another fun way to get a free family vacation too. Retreats – Hundreds of retreats are held across the U.S. and Canada each year. Some are geared for men and dads, others for women and moms. Some are family retreats. Others are focused on leadership, spiritual renewal, writing, missions, ministry enrichment and renewal, pastor sabbaticals, etc. Civic Organizations – There are thousands of civic groups, organizations, and societies that need special speakers for their monthly, quarterly, or annual events. Create Your Own Event – Consider pulling your own event together where you are the sole speaker or one of the speakers. Use EventBrite and Facebook to promote it. If you’re a missions pastor, how about a regional missions conference? If you’re a worship pastor, what about a worship conference? If you’re a teaching or lead pastor, how about a preaching conference? Youth, children’s or Next Gen pastors, how about a conference on Next Gen ministry? You get the idea. Radio Shows – Radio stations often have empty time slots they are looking to fill during overnights and weekends. You could launch your own radio show and find advertisers to pay for it. Or create your own daily 90-second feature spot, and sell ads for that. Podcasting – Launch your own podcast and sell advertising. YouTube – Launch your own online show and sell advertising. Mentoring (you might call it discipling) is one of the cornerstones of the church and the Christian life. There are plenty of “Timothys” out there looking for “Pauls” to help them grow as disciples, pastors, and leaders. 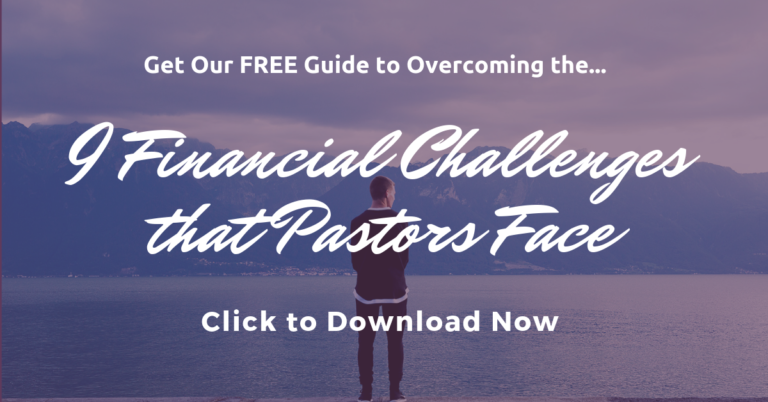 While pastors are always on the look-out for free help (You ARE reading this free list of money making ideas, after all! ), there comes a time when we’re willing to pay for mentoring. Young pastors, fresh out of seminary, are often hungry and desperate for real-world church experience to help them grow and mature as pastors and leaders. Seasoned pastors are looking for ways to free up their time, earn more money, and make their life and ministry for purposeful. And sadly, some of us will come to the point where we’re forced to pay someone to help us recover from burnout, heal after a let-down or firing, or seek restoration after a moral failure. Internship/Residency – Create an intern or residency program where young pastors pay to shadow you for 6 months or a year or more. And I’ve known of some pastors who even house the interns or residents in their home as part of the program, charging more money as a result. Mastermind Group – Create your own mastermind cohort for pastors in your community, or area of passion/interest. Building Campaigns/fundraising – Show other churches how to raise money for ministry. Evangelism/Outreach Campaigns – Show other churches how to engage their community in meaningful ways. Sabbatical planning – Help pastors design, fund, and prepare for a much-needed sabbatical. Pastor Spouses – Launch a group to counsel and encourage ministry spouses. Retirement planning – If you’re at or near retirement age, share what you’ve learned to help other pastors prepare for their retirement. Healing & restoration – Walk alongside pastors who are dealing with brokenness, bitterness, addiction, etc., and help restore them to wholeness. It’s not a big stretch for pastors to make extra money by writing. Most of us are writers by default, anyway, whether we realize it or not, simply by writing sermon outlines, writing out our sermons, or by keeping a journal. Not to mention all the writing we did in college and seminary or through other ministerial training! Write a book based on your “signature talk” concept mentioned previously in the “Speaking” section. If you dream of being a published author someday, starting with a blog is a great way to gain an audience and grow your influence. And it can lead to speaking, coaching, and publishing books and other resources. In the past, it seemed like someone could write a book, get it published, and then gain an audience. Today, publishers are more interested in authors who’ve already developed influence with an audience. Can pastors make money online? Absolutely! Can you make money online doing any of the previous extra money ideas I’ve already shared? Yes! Though some ideas lend themselves more easily to online business than others. For example, you can easily promote your funeral or wedding officiating services online, but you may not actually DO them online. Then again…maybe there’s an opportunity here for somebody! But you could definitely deliver your services as a counselor, spiritual director, coach, mentor, chaplain, speaker or writer totally online if you wanted to. While I’m sharing these ideas as a list, you don’t have to think of them in a linear way. Think of them more in a circular way, where one feeds off another, and you can start with any one of those ideas and develop the others off of it over time. There you have it! 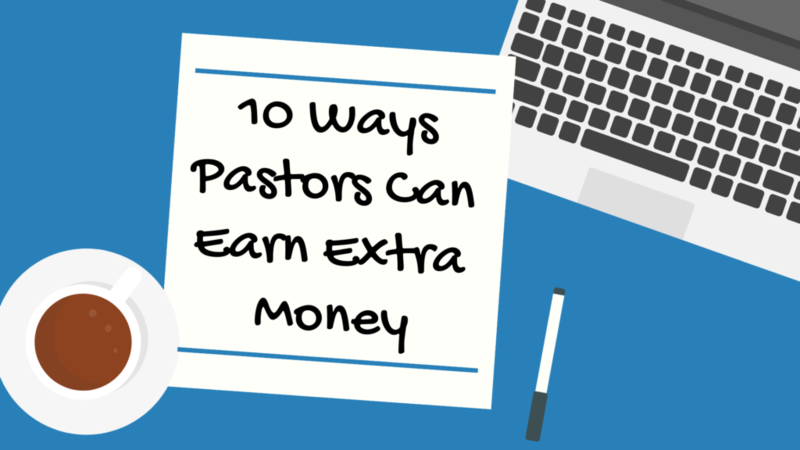 These are the 10 best ways I can think of to earn extra income as a pastor, doing what we already know and do. Which one will you try first?